Get your spooky pen out – Trees & Hills wants you to help us make another set of Trick or Treat Comics! 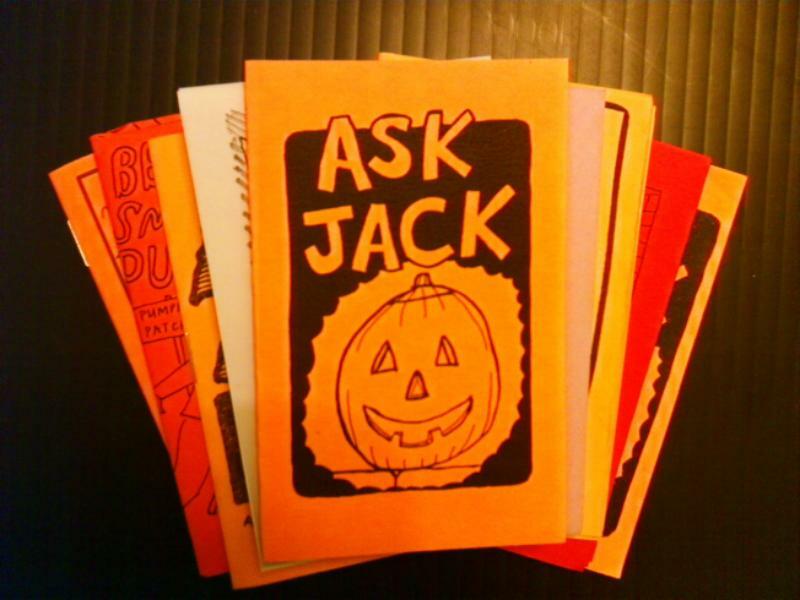 This set of miniature comics will be perfect for giving to trick-or-treaters or Halloween party-goers. Content: Spookiness, monsters, ghosts, pumpkins, & other Halloween-related stuff. Must be suitable for children. Deadline: October 7. We will have a drawing party in Keene, NH on October 6 for people to draw and submit their comics. Format: The printed comics will be 2.75″ x 4.25″ (that’s 1/8th-letter size – a sheet of paper folded in half 3 times), 8 pages, black & white, with 1/4″ margins. Please leave the lower half of the last page blank (or the right half if landscape format) so we can include information about the collection. First page can be a cover if you like; last page can be a back cover if you like, but in any case you’ll probably want to fit your name & website (or other preferred contact info) there. Either portrait or landscape orientation is fine. Email your comic to organize@treesandhills.org as a set of TIF files, one for each page, with filenames formatted [your last name]-12h-[page number] (e.g. Tedford-12h-1.tif, Tedford-12h-2.tif, etc – the “12h” indicates the page is a 2012 Halloween comic). They should be 600 dpi B&W (300dpi greyscale is OK if you’re using ink washes or something). 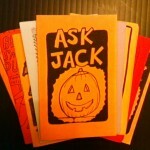 Have us scan your art at the Trick or Treat Comics drawing party on October 6. Send clean photocopies to Trees & Hills Comics Group, PO Box 645, Winchester, NH 03470 (but they absolutely have to arrive by the deadline to be included in the batches that go out for Halloween). If you’re unable to produce digital files and don’t have enough time to mail copies, ask if the T&H Mobile Production Unit may be able to come scan your comics for you. End result: The comics will be posted online as freely-downlaodable print-ready PDFs; you may print as many copies as you want to give away. We will also be offering printed sets for sale, of which we will send you a copy for free. Do not redistribute PDFs or sell copies of anyone else’s comic without their permission; however, you should feel free to sell your own comic individually and/or offer it for download.